HELENA, Mont. 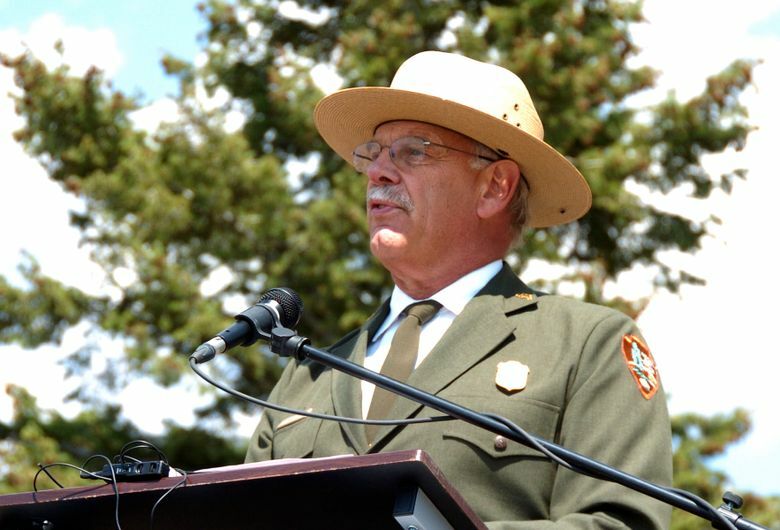 (AP) — National Park Service officials told Yellowstone’s departing superintendent that he wasn’t being forced out over a disagreement with Interior Secretary Ryan Zinke, but Dan Wenk said Thursday he still believes he is being punished by being forced to move up his retirement. Wenk, who will step down as Yellowstone’s top administrator on Sept. 29 after a 43-year park service career, spoke to reporters in a farewell telephone news conference that lasted nearly two hours as he fielded questions on controlling the park’s bison population, managing grizzly bears and the rise in park visitors. But the questions kept returning to Wenk’s relationship with Interior Department leaders and the circumstances surrounding his imminent departure. Wenk walked back his earlier comments that the Trump administration appeared to be forcing him out over a dispute with Zinke over how wild bison in the park should be managed. But Wenk also repeated that “it still feels a little punitive” that he was ordered to transfer to Washington, D.C., instead of being allowed to retire as Yellowstone’s superintendent next March, which he said he’d been planning since 2016. Wenk turned down the unwanted transfer, and he was told he would be gone from Yellowstone by August. He and the park service settled on the Sept. 29 departure date. Wenk’s retirement comes after an investigation into 35 personnel reassignments of senior executives proposed in the Interior Department under Zinke. Sixteen senior employees viewed their moves as punishment for their work on climate change, energy or conservation, but the Interior Department inspector general did not determine that anything illegal occurred. The federal government’s Senior Executive Service that Wenk is a part of is meant to be a mobile force capable of taking on different assignments that meet the agency’s needs, and personnel moves are made to better serve taxpayers, Zinke spokeswoman Heather Swift said. “Senior executives are the highest paid employees in the federal government and signed up for the SES knowing that they could be called upon to work in different positions at any time,” Swift said. Wenk acknowledged that he’d been in his position longer than any other senior staffer currently in the park service and that he could be moved. Yellowstone, which became the world’s first national park in 1872, covers 3,400 square miles (8,900 square kilometers), has a staff of 800 people and a budget of more than $60 million a year. 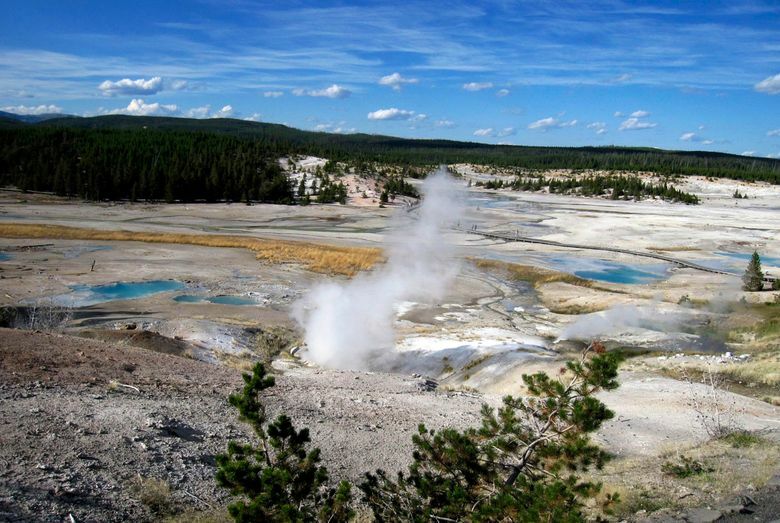 Its geysers and wildlife attract more than 4 million people a year from around the world. Wenk’s seven years leading Yellowstone have been marked by an explosion in visitor numbers, tensions over wolf hunts and snowmobile use and a sexual harassment scandal on. Members of the park’s maintenance department were disciplined last year after an investigation found female employees faced sexual harassment and other problems. Wenk’s replacement will be Cameron “Cam” Sholly, the park service’s Midwest regional director. Sholly will have to deal with managing the booming summer crowds, along with the bison management dispute and the possibility of grizzly hunts in Yellowstone’s surrounding states of Wyoming, Montana and Idaho. Park officials have been trying to decrease the bison population since it peaked at about 5,500 animals at the end of 2016. The population is expected to be about 4,500 by the end of this year, which Wenk said is a sustainable population. Zinke favors a population target of 3,000 to 3,500 bison set previously by federal, state and tribal officials and contends that the higher numbers have led to overgrazing in the park. Wenk said before he leaves he wants to complete the final agreement necessary to launch a new bison quarantine program. That program would allow the transfer of disease-free bison to the Fort Peck Indian Reservation with the ultimate goal of creating new bison herds around the nation.